Xcaret is special for several reasons. Not only is it one of the most visited attractions in all of Mexico, but it’s also a place which has become a pioneer for eco-tourism worldwide. The Yucatan Peninsula was one of the first places where eco-tourism found its roots. In the 1970s, academic Claus-Dieter Hetzer organised eco-tours to the region for overseas visitors, which proved popular. Two decades later in December 1990, Xcaret opened its doors, demonstrating the potential of a sustainable tourism project for a mass audience. Conceptualised as an environmental attraction rather than a traditional tourist attraction, Xcaret – which is named after the Mayan word for a small inlet – was originally a Mayan port, with the park’s location boasting as much history as it does natural beauty. Surveying the land to build a luxury home several years earlier, furniture salesman and Mexican architect, Miguel Quintana Pali fell in love with the area, so much so, that he decided to develop what would become Xcaret on the 65-hectare plot. 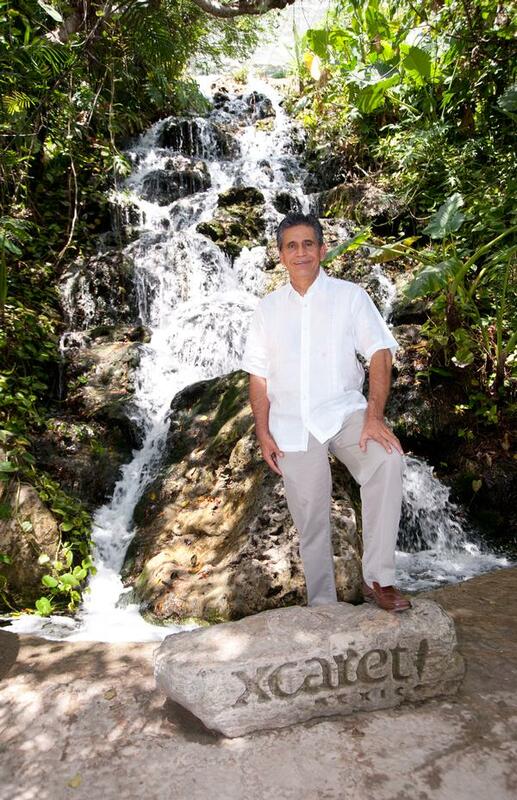 “There are around 2,000 relics of Mayan culture around Xcaret,” Pali tells Attractions Management. 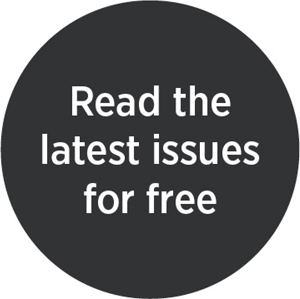 “As we discovered these relics and worked out where we could and couldn’t build, I decided that one house was too little for the five hectares I’d purchased. 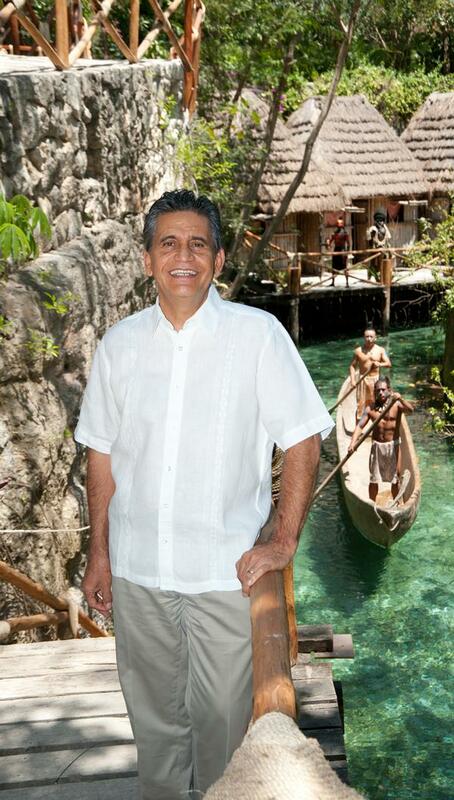 Returning to the landowners – Oscar, Marcos and Carlos Constandse – on the hunt for more land, Pali explained his vision for Xcaret. Instead of selling him the land, the brothers were so excited by the concept, that they ended up becoming business partners on the venture. 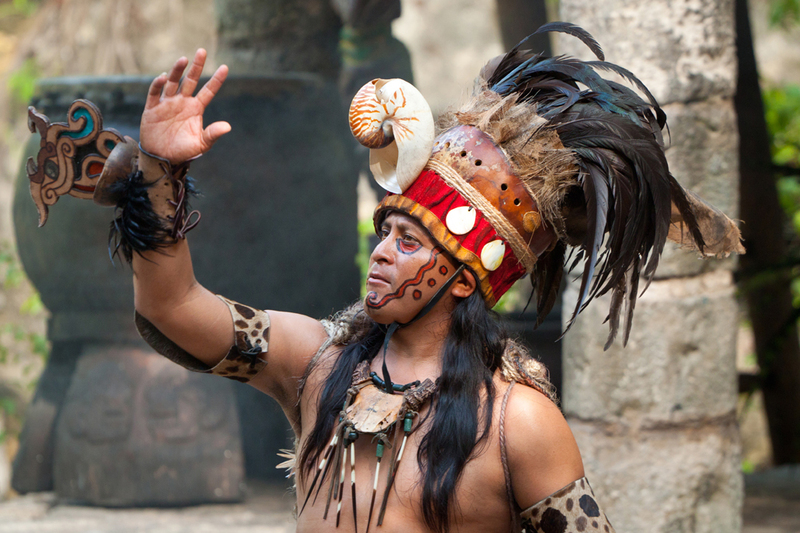 While offering its own unique experience, the concept for Xcaret takes inspiration from the Polynesian Cultural Centre – one of the most popular attractions in Hawaii. “My mother is Hawaiian,” says Pali. “When I was younger, every couple of years we would be taken to visit there, which is how I got to know the Centre. 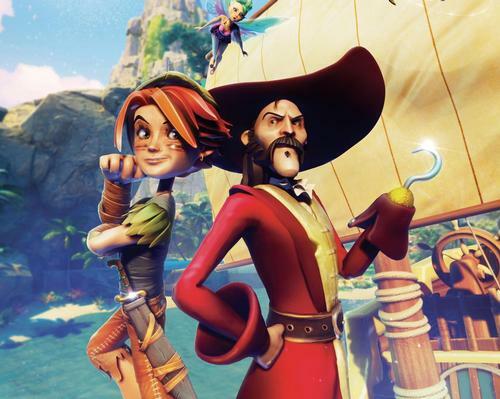 The concept for Xcaret is simple and works well thanks to its stunning location. 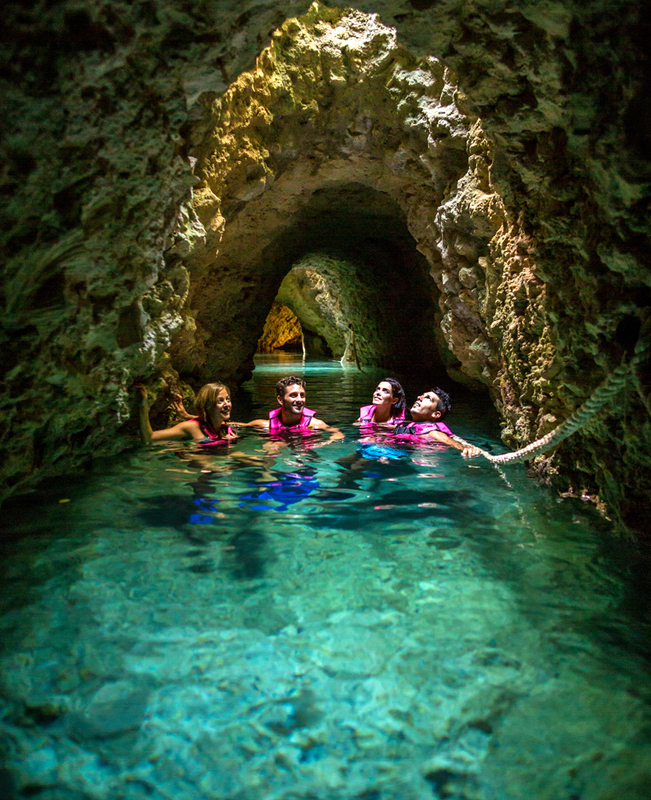 Rather than traditional rides, the nature park instead offers up its underground rivers, jungle trails and the vast Caribbean Sea, with exciting natural experiences built into those elements. Wildlife also plays an important role as well, with a coral reef aquarium, butterfly pavilion and tropical bird aviary among the offerings. Finally, Mexico’s culture is played out with daily shows, while the whole park is wrapped in Mexican tradition, from dress style to the brands of chocolate bar on sale. Pali’s architecture background has shaped Xcaret’s very foundations. With a clear vision in mind to put nature first however, it can often prove a challenge. From Xcaret’s initial foundation in the late 1980s, several more parks would follow, with eight different experiences set up under the Xcaret Experiencias Group umbrella. A new adventure park is also set to open later this year. 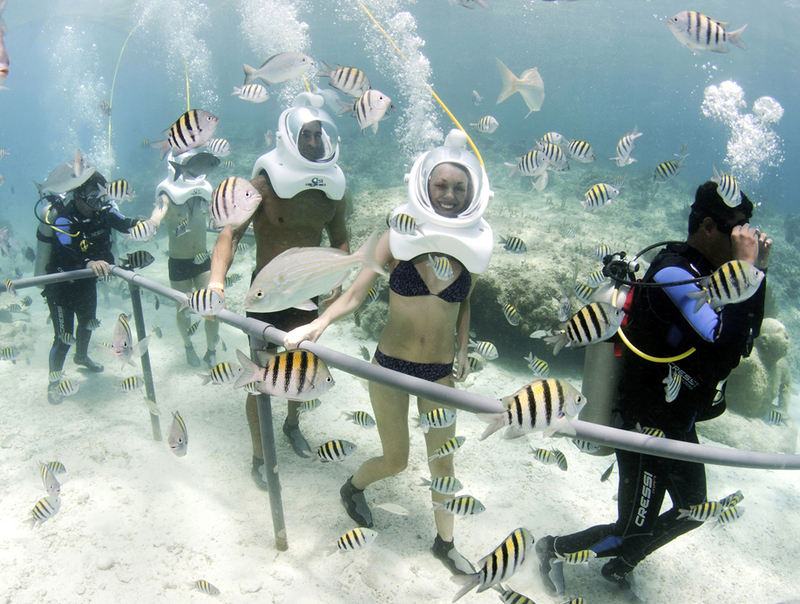 “In terms of capacity, Xcaret is our main park and can fit in 12,000 people each day. Xel-Há is our second-largest and has a capacity for 6,000 and Xplore can fit 2,000,” says Pali. 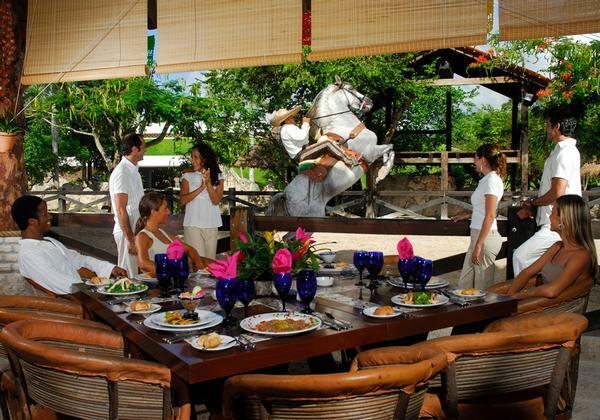 Finding a balance between nature and guests’ needs across Xcaret’s park portfolio is a constant challenge. Visitors, for example, might ask for a non-natural element to be added to the park. For Pali, it’s about introducing these things without compromising the park’s aesthetic or its eco-friendly philosophy. “A lot of visitors had been asking us to introduce water slides to our parks. It presented a challenge because they’re very difficult to keep in with our natural look,” Pali explains. 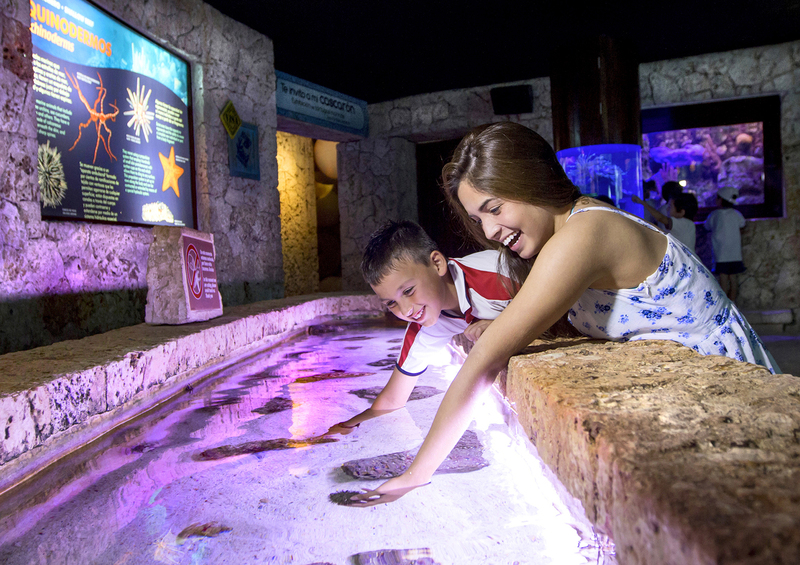 Conservation is also at the heart of everything Xcaret does. In its history, which now spans nearly three decades, it’s seen more than 100,000 sea turtles raised and released into the ocean, with many now returning to Xcaret to breed. It’s a similar programme for the endangered scarlet macaw, with nearly 1,000 raised in its aviary and many later released into the wild. 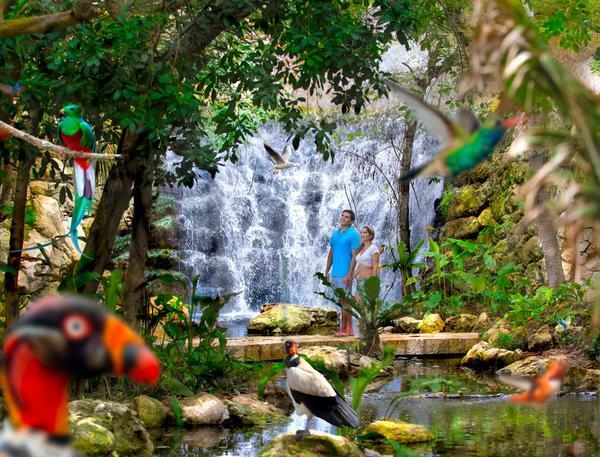 This is coupled with Xcaret’s efforts to maintain the natural environment around it, allowing its millions of visitors each year to witness the area’s beauty without causing harm. One of Xcaret’s more recent developments is its all-new hotel – a five-star 900-suite behemoth sitting right on the Mexican coast line and surrounded by a wild jungle. “When our new hotel was first conceived, the engineers made a plan from an office, almost never visiting the site. In their plan, they would have taken out all the trees, built the hotel and then planted the trees again,” explains Pali. Opened in December 2017, the carefully designed, nature-centric destination, is split into five “casas”, each with its own unique theme: adults only, luxury adult, family, luxury family and wellness. Marketed as “All-Fun Inclusive”, guests receive a full resort experience alongside complimentary access to Xcaret’s eight nature parks and tours. Shuttle buses run from the lobby every half-hour, taking guests to as many parks per day as they wish. Gastronomy is also a key part of the hotel experience, with everything served as part of the all-inclusive menu in its 10 restaurants and eight bars based on traditional Mexican cuisine. In addition to its new Xavage park, recent announcements from the company include the expansion of an additional 12 hotels – the first of which broke ground in January – a convention centre, shopping plaza and a 12,000-seat stadium. Worth an estimated US$2bn, the 8-year plan will allow the operator to diversify its visitor portfolio. There are also considerations to expand Xcaret outside of Mexico: “I’d like to replicate it in countries such as Columbia and Venezuela,” says Pali. “It could be done, but you can’t do it on just any piece of land. It has to be special, meaning it has to have a rich landscape with rivers, caves and lagoons and has to be a very natural, beautiful place. Beyond the Xcaret masterplan, Pali revealed plans to expand into the neighbouring state of Yucatan, as well as create a new boat service from the neighbouring island of Cozumel 18km away. “Right now, we’re planning to develop new parks at our home site,” he says. “We’re also looking at expanding into Yucatan, which has a rich history, with colonial towns, churches, monasteries, cenotes and haciendas. Xcaret doesn’t have a lot of these things, so it’s something different we could offer. 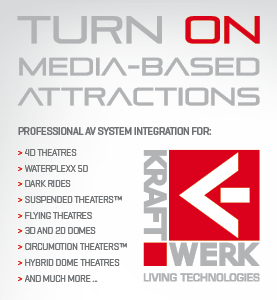 At this year’s IAAPA show in Orlando, Xcaret was recognised as being among the world’s elite attractions, picking up the prestigious Applause Award (see p56). Joining a list most recently featuring Busch Gardens, Puy du Fou and Ocean Park, the biannual award honours a park whose management, operations and creative accomplishments have inspired the industry with foresight, originality and sound business development. “90 per cent of the world’s theme parks are represented by IAAPA, so it was an honour alone to be named one of three finalists,” says Pali. 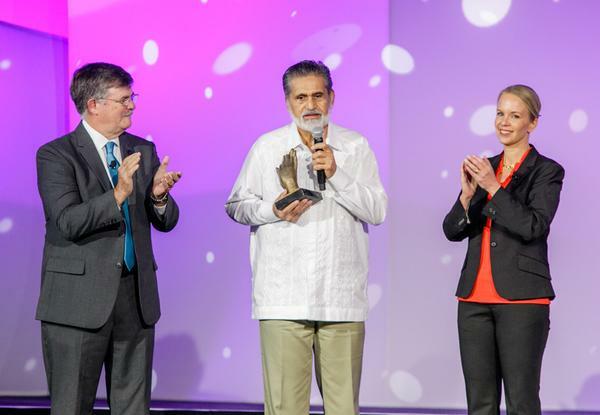 The award comes at a choice moment, with Xcaret this year set to reach a major milestone, welcoming its 50 millionth guest since launch. “I’ve never really thought about it in terms of the number of people,” says Pali. “I want to show my whole country to the rest of the world. The inspiration for Xcaret, the Polynesian Cultural Center is a living museum, which is one of the most frequently visited tourist destinations in Hawaii. Owned by The Church of Jesus Christ of Latter-day Saints, the attraction features eight simulated tropical villages, with performers demonstrating various arts and crafts from throughout Polynesian culture. When it opened in 1963, the centre was created as a way to offer employment to students at Brigham Young University–Hawaii and to preserve Polynesian culture. Since then it has welcomed more than 32 million visitors. 70 per cent of the PCC’s approximately 1,300 employees are students at BYU. While the attraction is a for-profit commercial venture, a cut of its earnings are used to fund scholarship programmes at the university. During school terms, students work for 20 hours a week. In break periods, they can work up to 40 hours per week. For the first time in its history, Xcaret expects to break the four million visitor mark in 2019 after falling just shy at 3.9 million last year. The majority of Xcaret’s visitors come to see the main park, which welcomed 1.6 million visitors total in 2018. International tourists make up a big slice of visitors to the park – about 50 per cent – particularly visitors from North America, with 30 per cent of total visitors made up of people from the US and Canada. The remaining 20 per cent of visitors come primarily from South America and Europe. Xcaret: The original and main park experience. Attractions at Xcaret include a river that goes through a Mayan village, a subterranean sluice and a beach offering a number of activities including Sea Trek and Snuba in the reefs. Cultural attractions include a replica of a Mayan village with real artisans at work, a Mexican cemetery, a museum, an equestrian show, Mesoamerican ball game, an open theatre with performances of pre-Hispanic dances, Papantla flying men and the Gran Tlachco – a 6,000-capacity theatre. 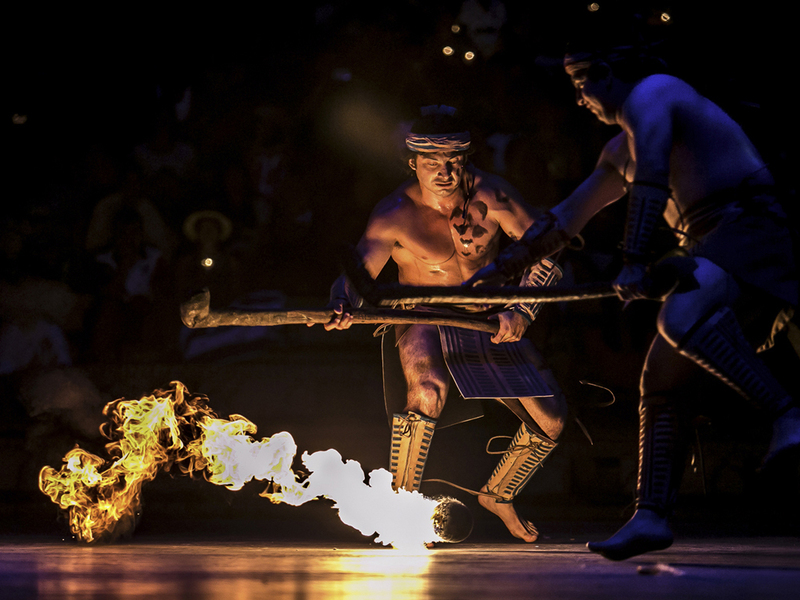 The Xcaret México Espectacular is the biggest show in the park. It lasts two hours and features more than 300 performers. Other facilities include a Temascal sweat lodge and spa, 11 restaurants and the adjacent all-inclusive resort hotel. Xel-Há: The aquatic development is a natural aquarium inhabited by hundreds of different species, including tropical fish and flora. The park also features a turtle reserve, where research is constantly carried out to learn more about marine life and contribute with the ecological maintenance of the area. 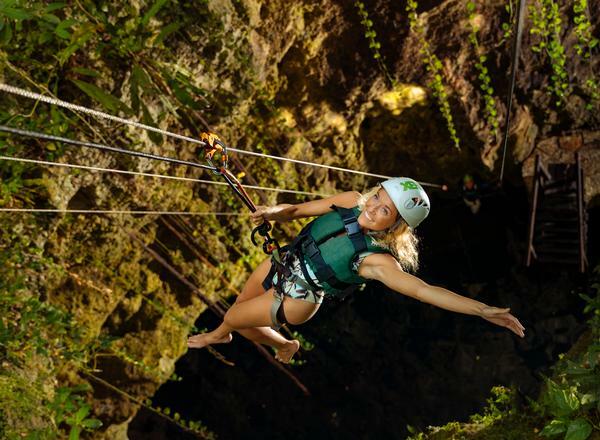 Xplor: The first of Xcaret’s adventure parks, Xplor sits in the heart of the jungle with a number of experiences such as zip-lining, amphibious vehicle excursions and cave exploration. At sunset, the experience at Xplor offers a series of high adrenaline, extreme night adventures, known as Xplor Fuego. 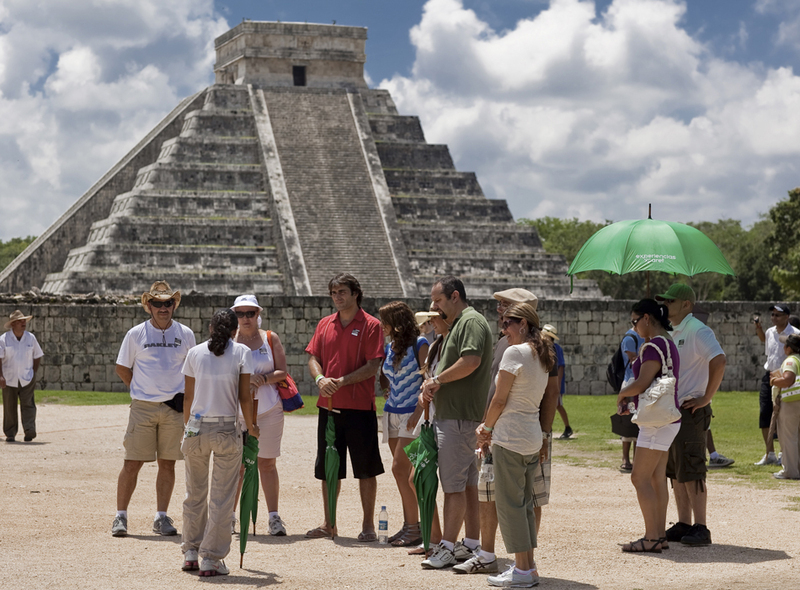 Xichen: Travel in a luxury bus to one of the seven wonders of the modern world: Chichén Itzá. The tour includes a visit to the colonial city of Valladolid as well as a visit to the Unesco World Heritage site, which dates back to 750 AD. Xenotes: The Xenotes Tour takes guests into the heart of the jungle, where they encounter a number of experiences, including assisted rappel, zip-lines, kayaks and cenote swims, all in small groups with a personal guide to take them through the wild areas. Xoximilico: The 20-person excursion sends visitors on Mexican Gondolas down a series of canals. 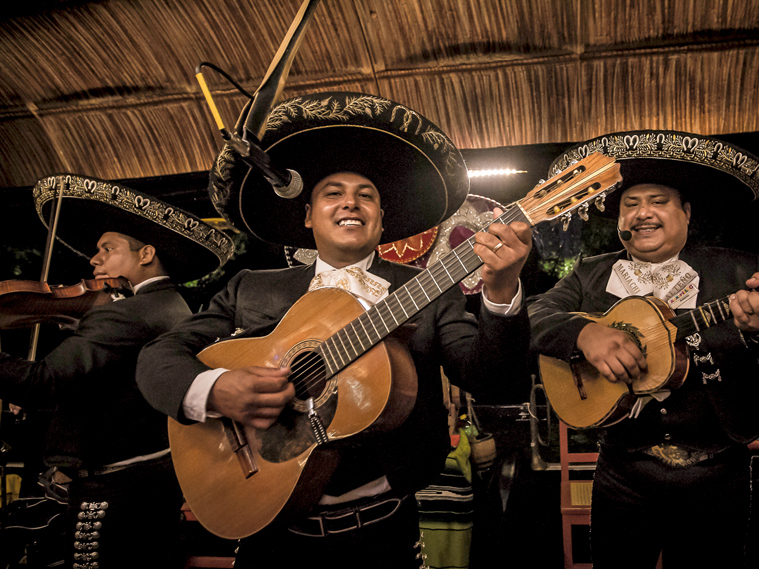 Entertainment is provided through the evening, with live traditional music, Mexican cuisine and, for adults, tequila. Xenses: Xcaret’s newest park, Xenses offers 17 different activities that challenge the power of the senses and the mind. Xavage: Set to open in April this year, Xavage will offer a high ropes course, kayaking, zip lines, off-road driving, white water rafting and a speedboat experience. A tourist hotspot in Mexico, the Riviera Maya sits south of Cancun along the Caribbean coastline of the state of Quintana Roo. The area is famous for its large scale all-inclusive resort offerings. The Mexican government sees the region as an important development area and has a long-term plan over 20 years to establish a number of cities with populations of around 200,000 people. Its geography was ideal for the founding of Xcaret. The area features a series of underground river networks, which have been discovered through sinkhole collapses (which are locally known as cenotes). According to the Quintana Roo Speleological Society, more than 700km (430mi) of flooded cave passages sit within the limits of the Riviera Maya including the two longest underwater cave systems in the world. Coastal and reef aquatic activities are the main attractions, with the Mesoamerican Barrier Reef the second longest in the world. Archaeology is also a big draw, with popular sites operated by the Instituto Nacional de Archeological such as Tulum on the coast, and Chichen Itza and Coba located inland. 2018 saw a tourism surge for Riviera Maya, with 17 million people visiting – a 5.3 per cent increase from the previous year. In the summer months, the Riviera welcomes up to new 40,000 visitors every day. Nearly 50 per cent come from North America, with 40 per cent of those visitors coming from the US and 9 per cent from Canada.